VTS enables you to better manage your deal pipeline, simplify client reporting and work smarter as a team. Stand out from the competition and position yourself to win new clients. Sign leases faster and improve conversion rates by managing all of your leasing activity in one place. Monitor the status of every deal and know who to contact, when. 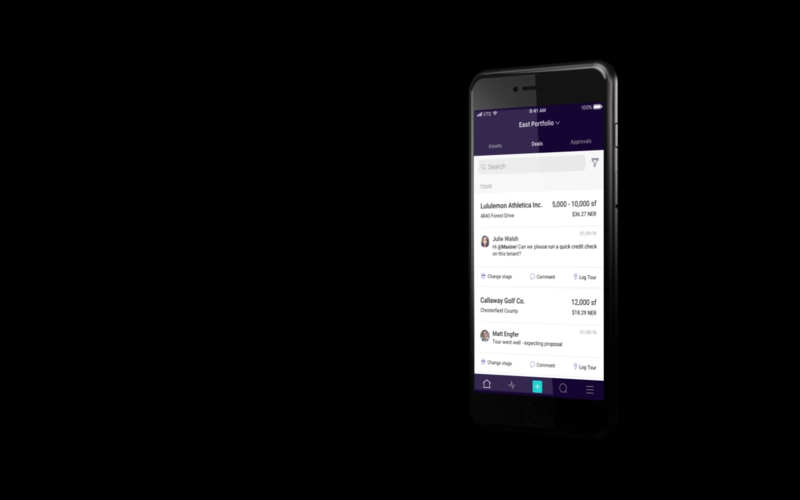 Enter new deals, record tour notes and send out marketing materials wherever you are with the VTS app. Create the best property marketing strategies with real-time insight into your inquiries and tours. Track, per space, the status of tenants and deals, with color-coded stacking and site plans. Save time preparing for your next meeting and focus on value-add activities. Instantly generate accurate client reports and maintain client trust with visibility and accountability. Easily generate a variety of reports based on market intelligence, leasing activity and inventory. Create the custom reports your clients need – export real-time data directly to Excel or PDF format. Compare and contrast differing tenant bids with multiple deal financials in one view. Work more efficiently by centralizing team activity and communication on one platform. Share accurate deal, tenant and market information in real-time to ensure all stakeholders are on the same page. Manage and share leasing comps and TIMs lists across your entire team. Receive instant in-app alerts and push notifications when a team member comments on a deal status. Daily digest emails keep everyone updated on team-wide progress. With VTS we’re able to get information instantly. It changes the game and allows our people to focus their time on the things they should be focusing on. The world’s leading brokers close deals with VTS. Learn how today’s leading brokers use VTS to close deals.